This week of the year is one I love, I have to say. Its time for me to take stock, review, and pray about the year coming, think about my personal warfare, resolve and set goals for the year to come and generally have an opportunity to stand at the beginning of a year and thank God for what might be accomplished for Him in it. It’s getting into that time now where you start to go from simply observing how a corps runs, what it gets up to, to now starting to steer direction. I’m not a believer in the ‘wait a year before you do anything’ theory because there are people being lost, time is not a luxury. I’ve already outlined here my vision for more soldiers and junior soldiers. I’d also love to see work increase in the other towns and villages in our corps district…its a vast and under-evangelised stretch of land with several small communities. I’m still praying about the best plan of attack. Helmsdale, Golspie/Brora, Keiss and Lybster are viable communities for work of some form. I am also hoping to develop local leadership in the corps. We have but two senior local officers in the corps, albeit we have a few good folks doing ‘non-senior’ posts (if you know what I mean). They are all fantastic, but we need more. It will simply be about inviting people to stand forward because there are many people well qualified to lead. We’ve a few ‘in-house’ fellowship details we want to look at too….just about giving people who already attend more opportunity to interact, fellowship and get to know each other better. All in all, as we do all this as well as do some projects under the Hope 2008 banner, we’re hoping for good fruit! Pray for us, will you? I’ve just been sitting here enjoying one of my new Christmas pressies and realised its 2.40am! My other half bought me the complete NIV Bible on CD and I got hooked on listening. It’s something I’ve been wanting for a while, especially for the car and for places where there’s no light. The audio accompanying regular reading just brings extra impact. If you shop around you can get this set for around £30 (and do shop around, because some people charge as much as £100 for the same set). Whatever you do for 2008, why not make the extra commitment to get into the Word. When you get into the Word, the Word will get into you and you’ll reap the benefit in every area of life. This is the ideal time of year to be finding yourself a ‘read it in a year’ bible plan to ensure you’re reading through the whole scripture at least once this year. There are plenty on the internet. And hey, don’t stop at just reading, live it out! I wrote a wee song to sing at our Christmas Holiness Meeting this morning. Its to the tune in the chorus section ‘Lord, make Calvary real to me’ (CS81) and its called ‘Lord, let Christmas be real to me’. I offer it for you to use if not this year but next if you want to. It worked really well in the meeting and the familiar tune helped folks. We used it for the response time. Lord, let Christmas be real to me. Lord, place joy in my heart today. Lord, let peace reign in me today. Had a good day of meetings. Busy holiness meeting this morning and a packed hall tonight for the carol service. Our new Kids Alive Choir put in a performance and it was good to see mums and dads and grannies etc etc there to support. We were a few kids down, but was great to have them all. Our little Sunday School did a wee bit too, bless em. I smiled at a little conversation after the meeting: ‘busy tonight Captain, glad its not like this every week.’ Did I say conversation? I think I meant gob-stopper! :o) I think I knew what the person meant…its like I promised our good corps folks like it would be when you have an influx of kids with no real church connections…chaotic! Now, I love chaotic…it seems so very authentic to me to have a messy church. Other folks don’t quite see it like that though I suppose. A corps needs to be prepared to give and take a lot when expecting new people to turn up. We’ve got some important ground work to cover as a corps to prepare us for new people. This is the challenge any established corps faces. Its a joyful challenge though! I doubt this will be the last blog before Christmas, but just in case, have a Happy, Jesus-filled Christmas! Was looking around on You Tube and found Bishop Mike Hill’s Christmas message…posted it here for you. Had the opportunity to meet the Bishop in Bristol, and to hear him preach once or twice. It was great to encounter a high ranking man such as him with a strong, modern, evangelical and engaging message. I listened to him preach to a group of around 500 teens to mid-20 year olds on one occassion and he brought the house down. It also challenged me again about how we should be using the internet positively to share the message of the gospel. Hope you take a couple of minitutes to hear the message. So, I mentioned a few posts back the whole junior soldier and senior soldier thing. 10 senior soldiers and 20 junior soldiers. To be more exact, we’re especially talking 10 adults and 20 children saved…whether they reach soldiership during the course of the year is not quite as important, so long as they’re saved and recruits. God’s really confirming it for me and my faith is building alongside the prayer. Growth has been slow here at Wick in recent years, conversion growth that is. All you Wick readers, are you praying already as we prepare to launch this vision in the new year? I’m not sure exactly the reasons for lack of growth in recent years, I don’t want to offer any conjecture, but to put it bluntly, apart from transfers in (that doesn’t really count as growth, but I’ll tell you we’ve transferred 5 in), we’ve enrolled 2 soldiers since 2000 and lost at least 9 that I can make out due to promotion to Glory, backsliding etc. An overall loss of 7 soldiers in 7 years. The transfers in dull the reality, I suppose. Of our 41 soldiers, 7 aren’t able to regularly attend due to health or having recently backslidden in the months running up to when we came here. Of the remaining 36, there are possibly 6 who are under 60 years of age. Of that remaining 30, maybe about 10 of them are between 75 & 80+. In that 36, there are varying ranges of engagement with the mission of the corps. As for Junior Soldiers, well, we have…wait for it….none. Yet, we have 200+ children on our JAM Club registers, all hearing the gospel every week. In that regard, our problem is integration, discipleship and sustainability. As I’ve blogged before, we do have a history of major revival with 500 people seeking the Lord in the space of around two months. We’ve also had subesequent ‘mini-spurts’ of growth. A salute to Captain Grace Gordon for one particular season during her time here. Our methods? Do as much as we can, to the most we can, in the best way that we can, in order that we might reach but some. If it falls into that category, we’ll be doing it in 2008! You recognise that here in Wick, ALL evangelism is friendship evangelism, no matter what you do, because nearly everyone is in some form of relationship with us. Here in Wick, we don’t carry out our mission in isolation from being an integral part of the community. The Lord has confirmed prophetically that he is bringing a harvest out of season for us. Its out of season because we’re not ready, it doesn’t seem possible, I’m still just sharing the hope and dream, but I feel some sort of move in my spirit. I begin this post with a note of praise and thanksgiving to the Lord. 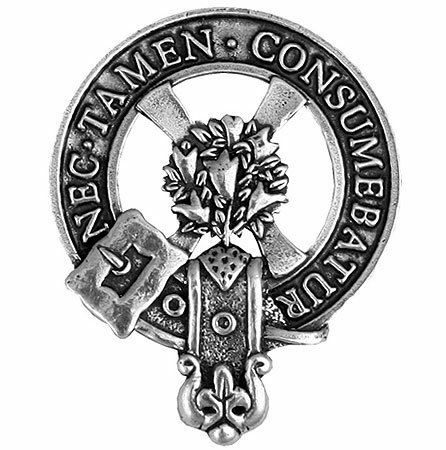 Long term readers of Army Renewal Blog will know that this time last year, due to a variety of circumstances, that I was off work because depression had set in. It used to happen now and again, throw back from a heathen upbringing. I just want to say that I have been free from depression since that time. Praise God. He is able, more than able. Go on, believe him for that thing that’s troubling you today. You know who you are, yes, you…I’m talking to you. You know who you are! As I look back a year, its weird to be in a different place again for Christmas. As an officer you do things for a couple of years and then you miss them when you don’t do them, only to be presented with a new set of ministries and opportunities in a new place. Carol Young, our successor at Pill was recently blogging on some of her Christmas activities this year and I had a few smiles as I recounted the people and places and times. This week is gearing up to be a full one, as you’d imagine. But as I was saying to my folks this morning, we must remember that the thing that will last from Christmas is our holiness experience, how our faith grows. Don’t miss Jesus is the midst of it all. Thats my prayer for you. I’d ask for prayer for one particular event this week….I have to primary schools worth of children coming to the hall for their Christmas service. There will be about 240 children plus teachers and parents. 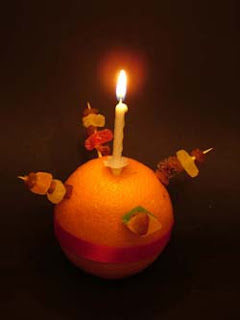 I’ve been asked to use the idea of ‘Christingle’ as the basis for my message (if you don’t know what it is, Google it). Its a good opportunity to share Jesus with the kids, so many of them I know and love.